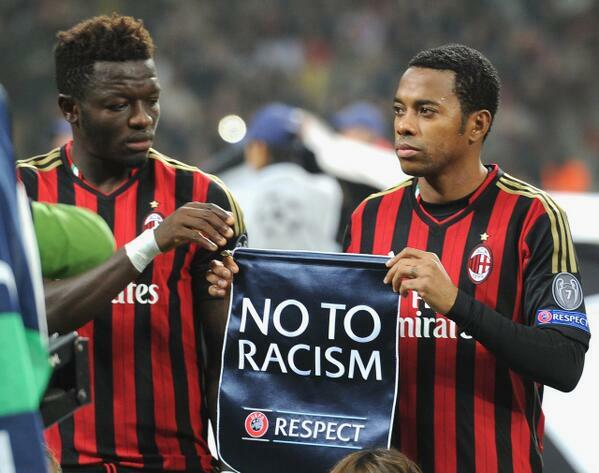 This week Serie A is under fire once again for how it is dealing with racism. Inconsistencies in acknowledging and punishing those who abuse players make Serie A look like a league stuck in the dark ages. For a league that was just gaining respect again after more than ten years of decline, all of this negative attention is ridiculous. On the one hand, there is a big Champions League semifinal tonight featuring a Serie A team. 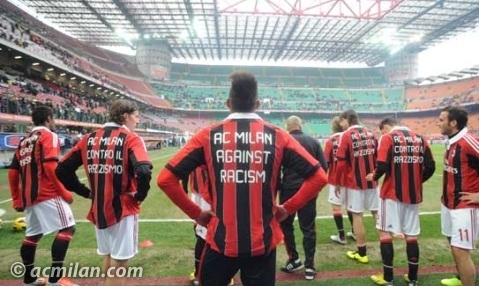 But instead, what everyone is talking about is how racist and backwards Serie A is. The events of this week shouldn’t come as a surprise. When it was time to elect a president of the FIGC, calcio’s governing body, it was the man who’d made racist, sexist, and other hate speech who was elected. Not just elected, but fully supported by his peers, including Milan’s former CEO, Galliani. This, despite four years ago when he supported the fact that Milan was a focal point about racism in football because another Ghanaian footballer walked off the pitch. It is exactly this inconsistency that is the most frustrating. But likely no one is more frustrated than Sulley Muntari this week. 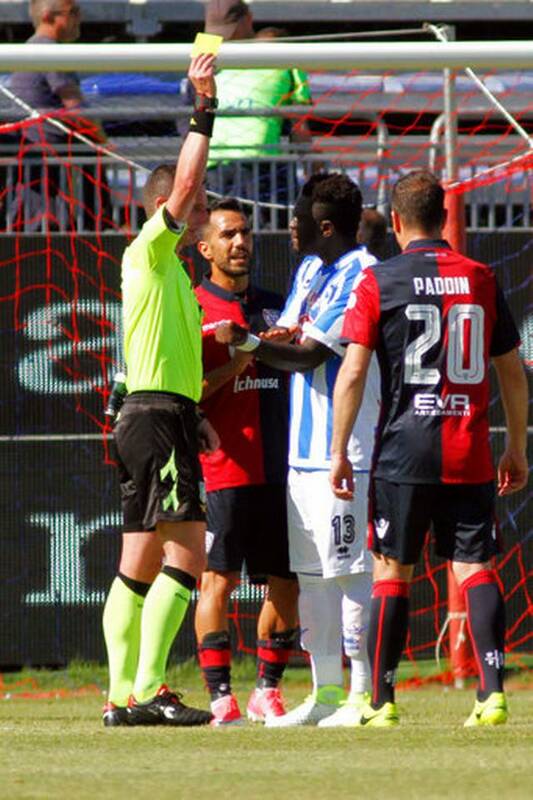 He was racially abused by Cagliari fans on Sunday when his Pescara faced them. He said much of the abuse came from children, too, which makes it even more shocking. Children who were with their parents, who did nothing to stop their abuse. He attempted to make the referee aware of the situation and have him stop the game, but the referee completely ignored him and instead gave him a yellow card, which will see him suspended this week. So he walked off the pitch, the only other action he could take against it. "You will take the abuse, and here's a yellow card for your troubles"
But as if that wasn’t awful enough, Serie A has since investigated the matter. While conceding that the abuse happened and was audible, they declined to punish Cagliari as the abuse came from only about ten people, which was less than one percent of the people in the stadium that day. Additionally, they refuse to rescind Muntari’s yellow card for walking off the pitch. This despite punishments to both Inter and Lazio fans for their abuse of Koulibaly and Rudiger respectively, because in those cases 80 percent of the fans in those sections were participating in the abuse. I did not realize that the percentage of people using hate speech was connected to the sanctions against it. Isn’t hate speech hate speech no matter how much? For all of Italy’s rich history and culture, racism is so pervasive that few see it for what it is. The inconsistency is frustrating, despite showing that there are actually some human beings within calcio. But if Serie A wants to grow and be competitive again with other big leagues, they have to get everyone on the same page: the FIGC and Serie A leadership, the teams, the refs, and especially the fans. Because players won’t want to come to Italy to play if they don’t. And not just players who might potentially be abused. All players who are human beings and want everyone treated equally. Certainly as Muntari sits out this weekend, he will be reconsidering his decision to return to Italy. Serie A also loses fans and respect from more civilized countries when they do dumb things like this. Because who, in 2017, wants to watch players be abused for their race, nationality, skin color or any other reason they don’t have control over? Apparently only one to eighty percent of Italian fans, that’s who. And depending on what number that is will depend on whether or not your fans are punished. Because only in Italy is racism okay if it’s just a little bit. And this is why we can’t have nice things.